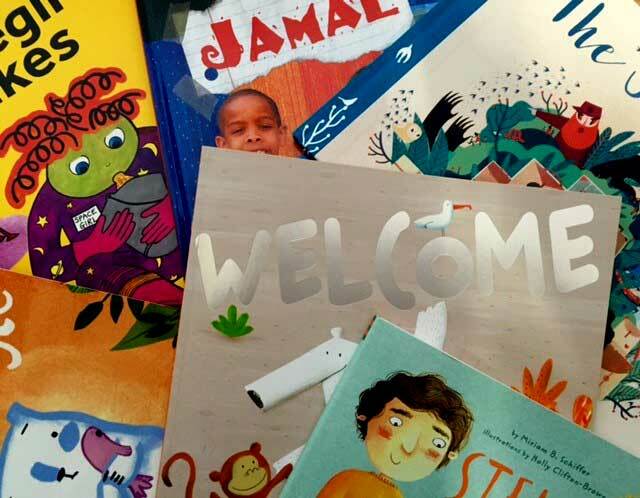 The 14 books in this pack are aimed at Primary schools who wish to work on fostering an ethos of community cohesion and counter messages of hatred and fear that may exist outside the school gates. Topics covered include experiences of refugees and asylum seekers; gender equality; overcoming language barriers; accepting diverse sexual identities and ensuring all families are welcome in schools; celebrating community cohesion. Lesson plans for these books can be found in "Reclaiming radical ideas in schools: Preparing young children for life in modern Britain" by Andrew Moffat. You can buy this resource separately from Routledge here. The lessons are in the form of workshops for children and their parents with the aim to take the "No Outsiders" message of cohesion in to the community. Andrew Moffat has also written "No Outsiders in our school: Teaching the equality act in primary schools"; to see our No Outsiders book pack on our website click the link below. No Outsiders book pack on our website here.